As seen on Halo Waypoint! Playtime Season 2 continues with “The Morning After”. Things really begin to heat up as Warren and Cobra decide to take the fight to the invaders. Check back next week for the exciting conclusion of Playtime Season 2: “Showdown”. “Playtime” was created under Microsoft’s “Game Content Usage Rules” using assets from Halo Reach, © Microsoft Corporation. 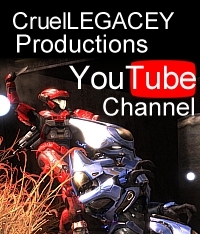 This entry was posted in Episodes, halo reach, Playtime, Video. Bookmark the permalink.